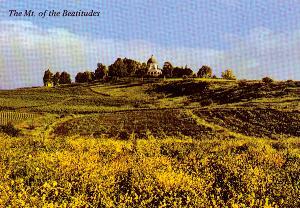 Our day begins with a visit to the MT. 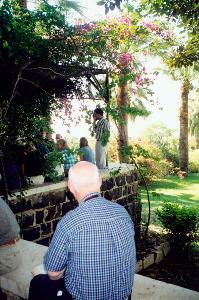 OF THE BEATITUDES and worship beside the SEA OF GALILEE. 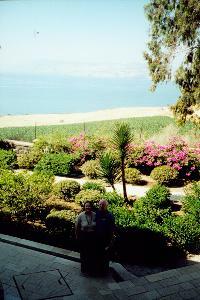 A postcard of the Mt of the Beatitudes from a distance. 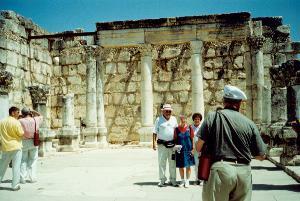 Next we visit CAPERNAUM, where Jesus lived with Peter. 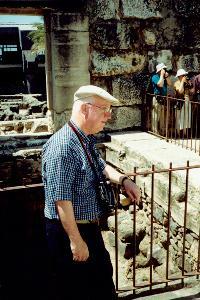 Here Edward tours a Jewish synagogue where Jesus preached. 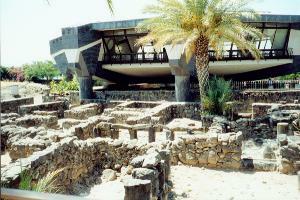 Remains of a third century Byzantine synagogue on the site of ancient Capernaum. 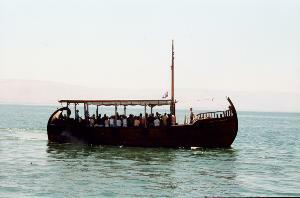 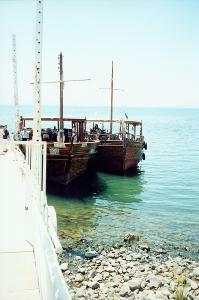 Then we take a boat ride across the Sea of Galilee to En Gev for lunch of St. Peter’s fish. 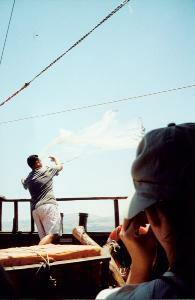 Our crewman casts his nets the same way Peter would have. 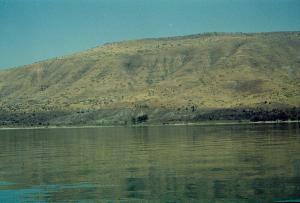 A great view of the Sea of Galilee from the boat. 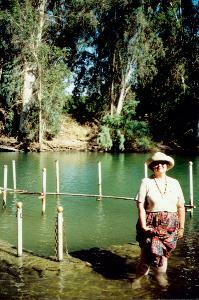 Sara Faye in the JORDAN RIVER. 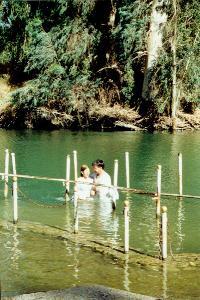 One of our group was baptized in the Jordan River.